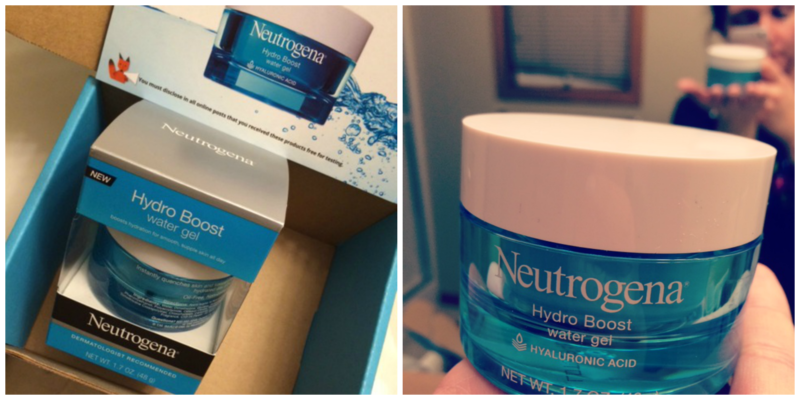 I recently received Neutrogena Hydro Boost Water Gel, free of charge, courtesy of Influenster. I was immediately drawn to the clear blue packaging, no doubt partially due to the fact that everyone I know is currently on some tropical vacation, staring at water of the same color, while I sit here in the midst of winter in Wisconsin, no vacation in sight. Unfortunately, the positives stopped at the packaging of this product for me. Ingredients include fragrance and other drying ingredients and that’s exactly what it did for me. Dried out my skin. To be fair, I generally moisturize my oily skin with straight up coconut oil (fight oil with oil!!) so it’s no surprise that this ingredient-filled product wouldn’t really do it for me. Regardless, I’m always happy to try a new product at no cost to me, and I’m always happy to share my unfiltered opinions here. And at that very moment, it hit me. I totally do. It took me a while but I think I’ve finally found my pregnancy “groove”. For awhile there the only evidence of my pregnancy was the constant feeling of being hungover despite not having a drop of alcohol. Since November 9th. But who’s keeping track?? Then I went through the well, I think I look pregnant but other people probably just want to tell me to lay off the cookies (I WILL NOT!) phase. But then one day… BAM! I’m a pregnant woman, suddenly showing evidence of the two beings growing inside of me. And it’s such an indescribable feeling. One that makes me have a bit of a glow, no doubt. I can’t say that I’ve noticed that ever coveted visible glow that people speak of, but I feel glowy inside, that’s for sure. –my husband, who is far more observant than I ever realized. Case in point, the aforementioned noticing my affinity for being pregnant. 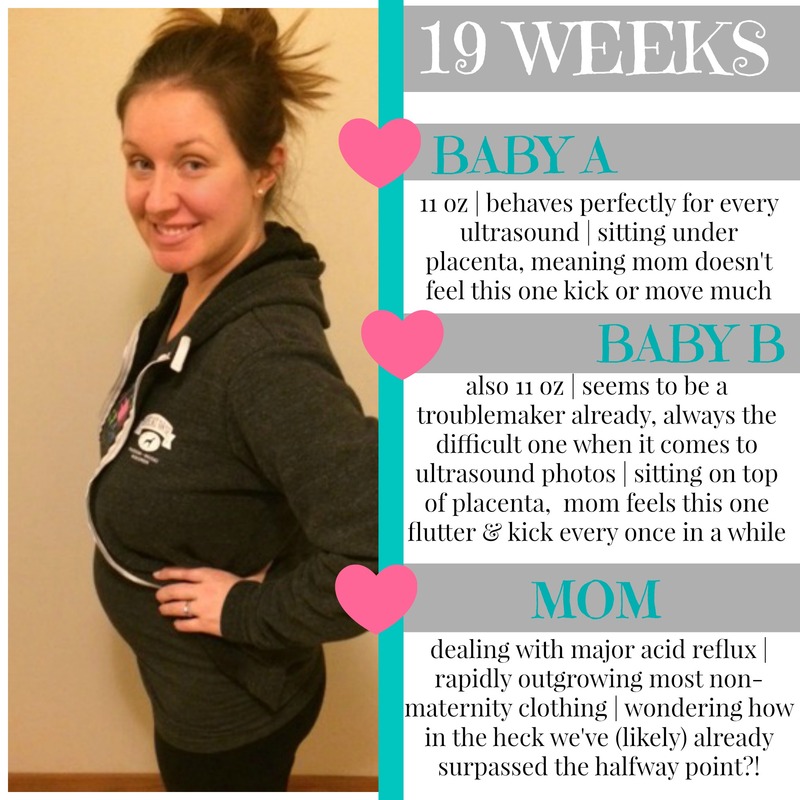 Earlier this week at our 20-week ultrasound (a few days prior to the actual 20 week mark) he also noticed that the babies heartbeats looked slower than last time. He was exactly right. And I thought the ultrasound tech might give him a gold star for noticing. Not to worry, it’s perfectly normal for the heart rate to slow as the babies grow. –friends and family, who continuously ask how “their” babies are doing. These babies are already loved so much and it warms my heart to know how many people care about them! –our ultrasound technician. This was my third ultrasound, but the first at the hospital where I’ll deliver. For insurance purposes, my first two were at my regular clinic, which has very minimal experience with multiples. I can’t tell you how much better it is to be seen by a true expert in the field. She and the doctor who read the ultrasound were both SO nice. They were super informative and both kept saying things like “oh, that’s beautiful!“, “gorgeous spine/heart/lungs“. It would seem we’ve created a couple of healthy babies, thanks goodness! Two babies means ultrasounds every four weeks and they will be sooo much better with her than they were with the sorta-grumpy-not-very-informative tech we had before. –the sunshine. It’s been a brutal couple of months, weather-wise, so this sudden burst of sunshine is really lending to my glowiness. What’s #behindtheglow for you these days? Next Post ohhhh, we’re halfway therrre!